Today, we’ll be taking a quick look at the Zotac Gaming GeForce RTX 2060 AMP Edition. It uses Nvidia’s latest GPU, the RTX 20 series which features their Turning architecture and offers ray-tracing capabilities. This card comes with a super overclocked GPU running at 1800 MHz (default is 1365 MHz), and uses GDDR6 Ram with a memory speed of up to 14 Gbps. With an overclocked GPU, you need that extra cooling and Zotac have included their ICE Storm cooling solution, which includes a compact but large heatsink with copper heatpipes and twin fans. And to five you gamers that little bit extra, you’ll also find White LED lighting which you can control via the Fire Storm software from Zotac. 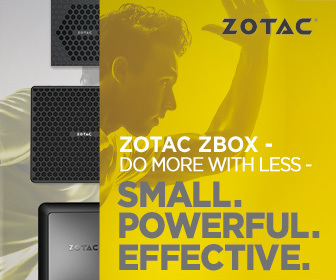 One of the things I like about Zotac graphics cards is its size. In fact, most of the ones we’ve tested to date will fit most cases out there. There’s been a ton of heated debate on the GeForce RTX 2060. Some dislike it due to the low amount of GDDR6 ram, which can affect high-res 4K gaming, while others have praise its performance over the GTX 10 series. In my opinion … we should always move forward in technology and give users the choice to buy affordable products that are sustainable.